So the nice people over at Enzymedica sent me two of their supplements to try out for free, Digest Gold with ATPro, and Acid Soothe. 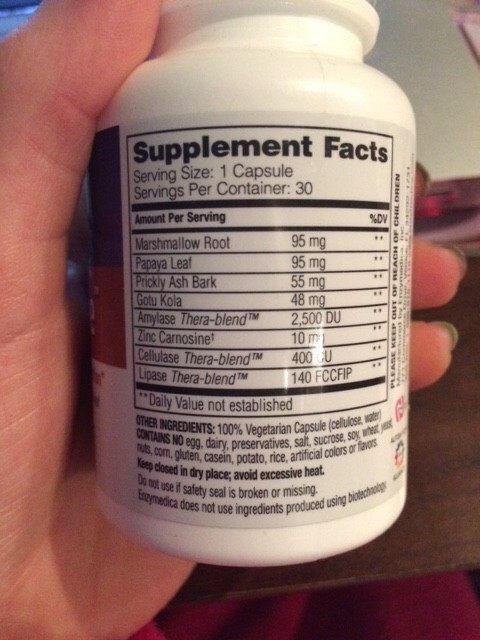 I was excited to try these, and I have a very sensitive stomach, and could use any extra help I can get! 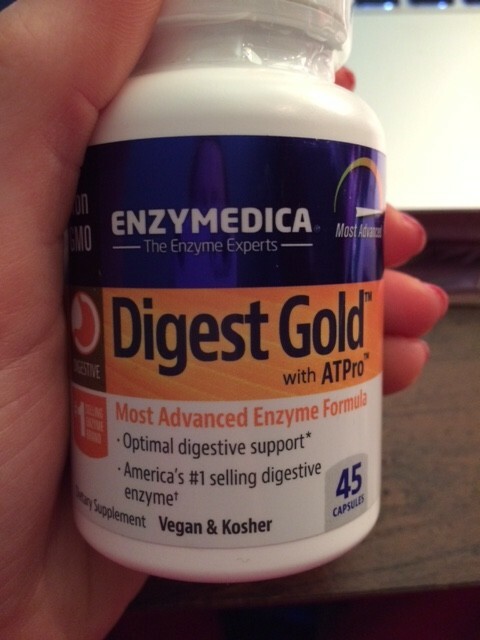 The Digest Gold is vegan and kosher, and helps with digestion by providing a slew of enzymes. It is priced at roughly $29.99. Here is a list of everything inside! So anything ending in “-ase” is an enzyme. 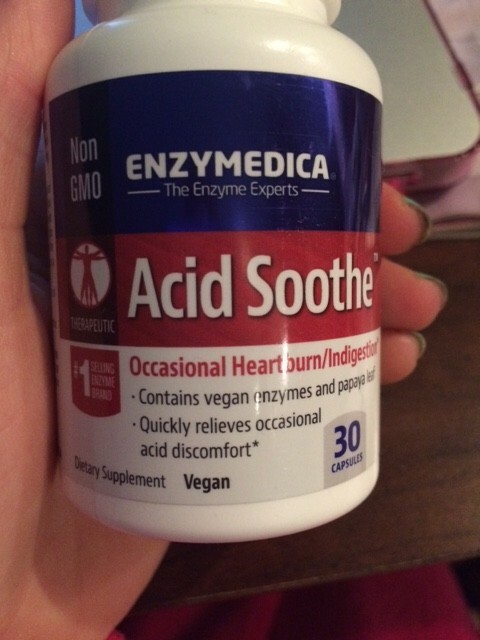 So you can see, there are a LOT of enzymes in this bottle. Amylase is an enzyme that breaks down sugars, Protease helps break down proteins, Lactase helps break down milk based/lactose products, etc. 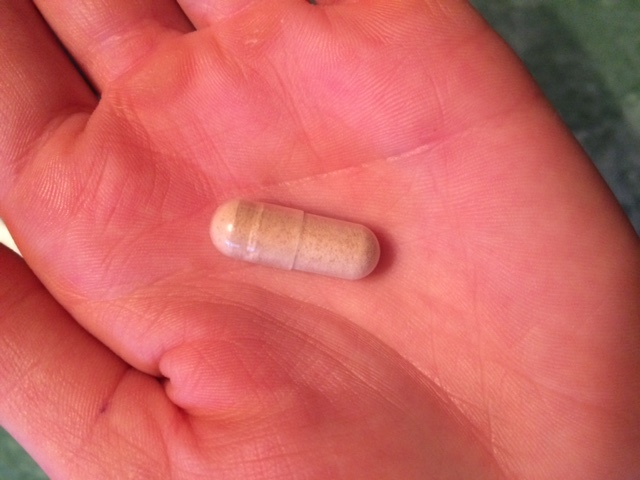 Here is what the pill looked like. It was relatively small and easy to swallow, which is a plus for me. I hate taking huge pills! 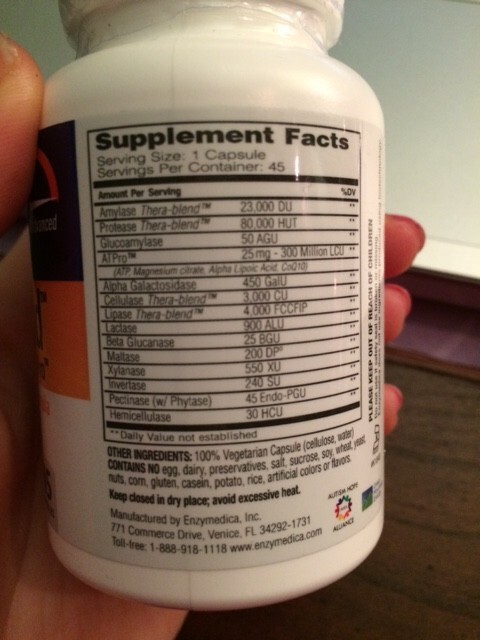 I will purposely stop buying a brand if the pills are too big. So how did it work? I decided to take it in the mornings, because I usually feel nauseous after breakfast (disclaimer: I am not pregnant! Just sensitive tummy!). I usually have toast with butter and some coffee for breakfast, and then go to the gym shortly after. At the gym, even 2 hours later, I sometimes feel nauseous or still “full” from my food. The first day I took the Digest Gold I noticed substantially less nausea, and felt pretty good! I was pleased and my stomach felt less heavy than usual. I tried it again at dinner time. I always get indigestion from sauce/onions, so I had it with a meatball dish with sauce. Again, no heartburn after or indigestion, which was great.